Sometimes you want a glass of wine, sometimes you want ice cream and sometimes you want both…because it’s just one of those days. In a bowl stir together the yolks, sugar and salt until well combined. In a saucepan, combine the heavy cream and dry milk and scald. Temper the yolk mix with the heavy cream and combine the yolk mixture in with the cream mixture and while stirring constantly, bring to just under a boil, about 170 degF. It should thicken enough to coat the back of a spoon. Once thickened, remove from heat and pass through a fine strainer into a bowl. Cool the mixture at least 4 hours but overnight is preferred. 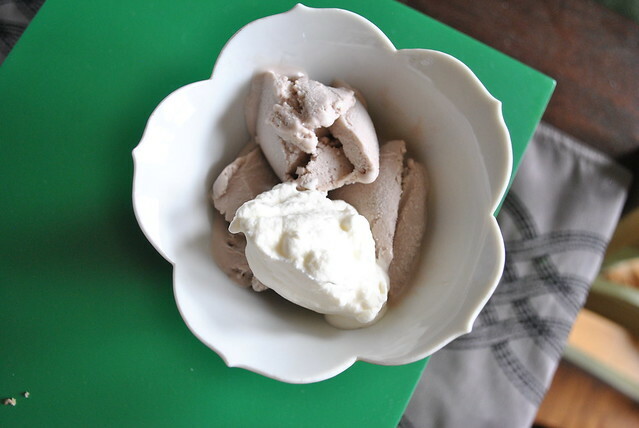 Once cooled, stir in the red wine and freeze in an ice cream maker. Let it set up in the freezer overnight before tearing into it and enjoying. 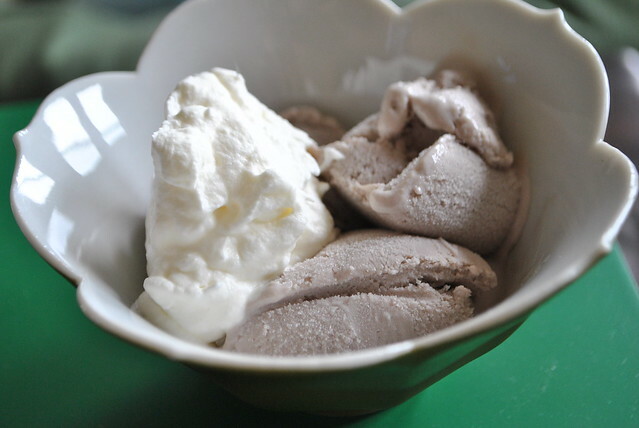 This entry was posted in Dessert, Uncategorized and tagged ice cream, red wine. Bookmark the permalink.